While the political scenario in the country is upbeat with the next general elections just a year away, parties are not the only ones gleaning lessons from the past. 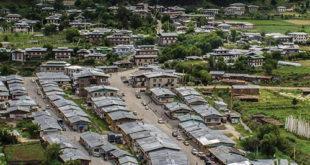 Learning from Experience Program( LEP), initiated by the Election Commission of Bhutan ( ECB) and headed by the Chief Election Commissioner (CEC), Dasho Kunzang Wangdi aims to learn from the mistakes of the local government elections and the 2008 elections, according to Dawa Tenzin, Director of ECB. The LEP for the first ever Local Government (LG) Elections was completed on January 31, 2012. Dasho Kunzang Wangdi said that LEP was considered a useful system to learn from. “It has helped us appreciate the effectiveness, strength, and weakness of our strategies,” he said. “Lessons learnt will be used to improve future parliamentary as well as LG elections.” Dasho Kunzang Wangdi also added that the approved report will then be considered in the form of Plan of Action by the Annual Conference of the Election Commission that will be convened on March 24 and 25, 2012 – the anniversary date of the first parliamentary elections of 2008. 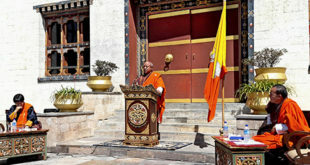 The program was first initiated in Paro for the Chhukha, Haa, and Thimphu Dzongkhag teams on January 12. Three teams were then fielded to conduct the same program in three regions, namely the South Western Region including Gasa, Punakha, Wangdue Phodrang, Dagana, Tsirang and Samtse headed by the Chief Election Commissioner of Bhutan and the other two regions headed by the two Election Commissioners. Besides LEP, another training program – Building Resources in Democracy Governance and Election (BRIDGE) was held by ECB last year. It is a resource created jointly by UN, International IFES and Australian Election Commission as an international program to help member countries build capacity in sustaining democratic and electoral capacities. AusAid has approved funding for three years’ BRIDGE support to ECB. “The long time purpose of BRIDGE is to reinforce the competence of ECB so it carries out realistic and efficient elections in a transparent democratic governance environment” said Sonam Dema, Assistant and Media Focal Person of ECB. ECB will soon conduct a three-day workshop to help political parties and members of political parties in forming and managing political parties as well as to plan and conduct election campaigns cost- effectively. “We are sending a team of officers to observe the Uttar Pradesh elections and will be sending more teams in the future Indian state elections in 2013,” said Dasho Kunzang Wangdi.